MTPredictor is an Elliot Wave analysis package that has the ability to read data from Premium Data. 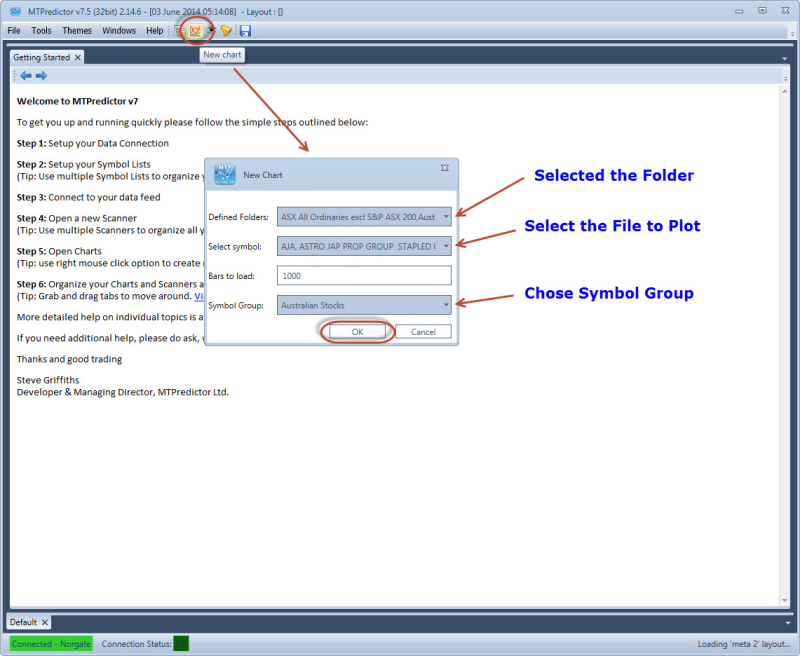 The illustrated guide below shows how to set up a "connection" in MTPredictor to our US Stocks data. The Guide assumes that our Premium Data application has been used to initially create a "Custom Folder" for the S&P 500. 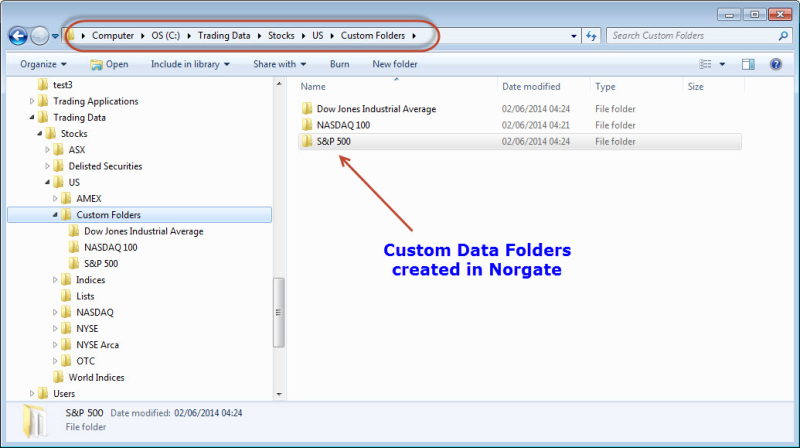 The existence of three "Custom Folders" for US Stocks is shown at Step 1, but a connection can be set up for any data folder at all using the general method. 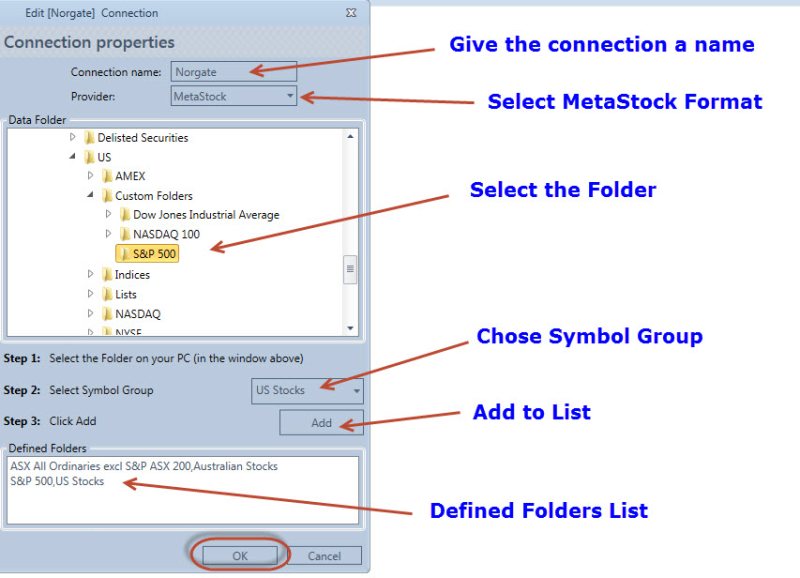 For instance, you could choose to set up a connection for the "\US\Nasdaq" folder or the "\ASX\Equities" folder. The images on this page are taken from the MTPredictor website, where a similar guide to using our data in MTPredictor appears. 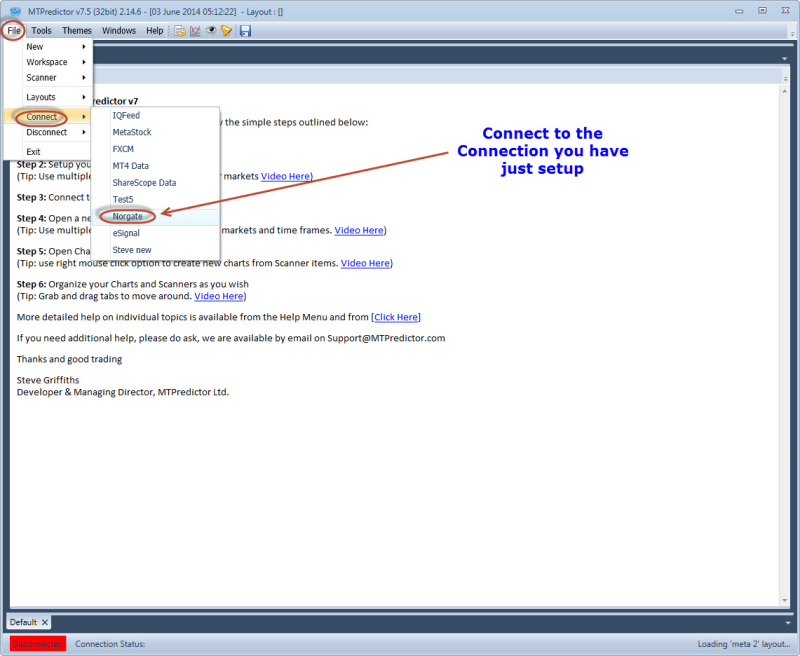 Give the connection a name and choose "MetaStock Format" from the drop-down list. Repeat these steps for all your defined Folders. Where can I get help on using MTPredictor? Help on using MTPredictor can be found on the MTPredictor website and Forum. 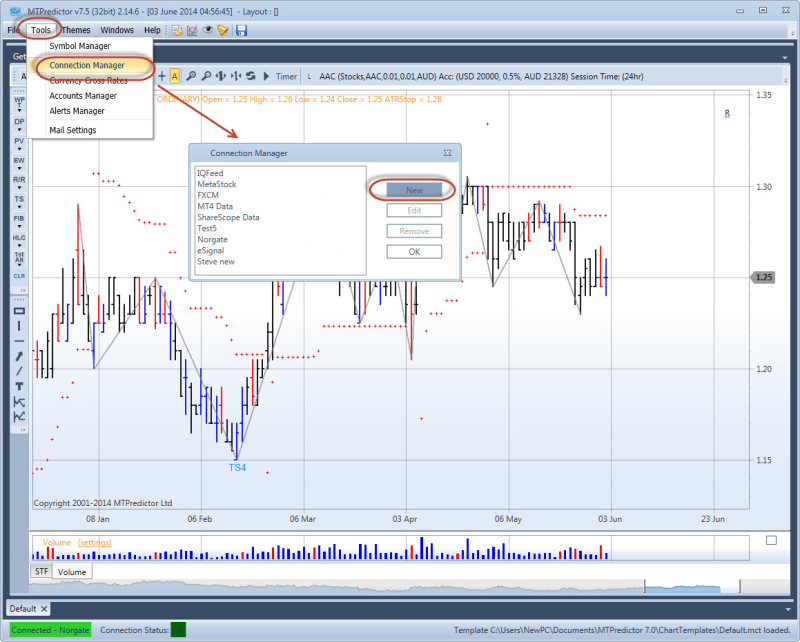 MTPredictor also have a setup guide for using our data, as well as a Help Video demonstrating the same process.